My wife and I went on a wonderful road trip through Louisiana with our two good friends. 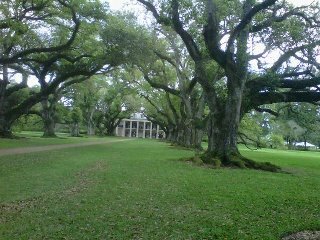 We spent one afternoon enjoying the history of pre-Civil War plantation country - Oak Alley Plantation on the banks of the Mississippi River. We stayed overnight in an 1890-era cottage rumored to be the most haunted on the 1200 acre plantation. We visited another plantation as well; both contained furnishings from the 18th and 19th centuries. Imagine living in the heat of Louisiana without air conditioning! We are spoiled! Color of Blood now available in eBook form!